Ireland's independent health food stores are in great shape - that's the conclusion following the first Health Stores Ireland/Better Retailing Magazine retailer awards presented in five categories during Vitality Expo in Dublin (8-9th September 2018). The top five health stores were named as The Hopsack, Dublin (Innovation and Business Development); The Natural Health Store, Wexford (Community Engagement); Evergreen, Galway (Training & Education); Organico, Bantry (Environmental Initiatives); and Only Natural, Wexford (Digital Marketing). Nominations in each category also included Sonas Wholefoods, Newcastle West, and Nuts & Grains, Mullingar (Innovation & Business Development); Fruit 'N Nut Place, Portlaoise, and Loop De Loop, Castletownbere (Community Engagement); Organico, Bantry and Natural Choice, Cork (Training & Education); The Aloe Tree, Ennistymon and Healing Harvest, Kinvara (Environmental Initiatives); Aquarian, Cahersiveen and Evergreen, Galway (Digital Marketing). Special recognition for Environmental Initiatives in 2018 were also awarded to Simple Simons, Donegal; The Aloe Tree, Ennistymon; The Quay Co-op, Cork; and Healing Harvest, Kinvara. Our UK consumer title Your Healthy Living Magazine won a Silver Award for the Best Use Of Social Media For Business at the Essex Digital Awards 2018. The winners of the fifth annual Essex Digital Awards were announced on 3rd May 2018 at a special event at Chelmsford's prestigious Hylands House. The Essex Digital Awards, which celebrate online achievements, have the largest following of any business awards held within the county. "We are completely thrilled to have been recognised for our social media content. We work extremely hard to develop exciting profiles that help our brands to grow online and so to celebrate that with an Essex Digital Silver Award is the icing on the cake. Our creative team is constantly driving forward and achieving more and more for our social media management clients. We're all set to grow and help more businesses with their online content so if you're looking for an award-winning team to help with your social, you know who to ask!" Photo by Niki Jones Photography. All nominated products will be featured in print, online, in e-casts and on social media. Each category has a limited number of entries available. Please be sure to contact us as soon as you know that you would like to enter so we can be sure to secure your space. Contact Heidi Thoday on 01223 894200 or at heidi@jfnproductions.co.uk to make your booking. JFN Productions celebrates its partnership with Natural & Organic Products Europe for the sixth year running. The show is Europe's biggest natural and organic trade event, taking place at ExCeL, London on 22-23 April 2018. Visit us on Stand S44 where you can pick up your free copies of our trade & consumer magazines and find out about the services we offer, including social media management, digital marketing, contract publishing and more. In the November/December 2017 issue of Rude Health magazine, we asked readers to vote for their favourite products in three key categories. Readers voted for Best Irish Product, Best International Product and Best Retailer Tried & Tested Product, (from a shortlist drawn from Irish Association of Health Stores staff reviews). Each reader entry was put into a draw to win a luxury break at Knockranny House Hotel and Spa in Westport. We had a fantastic response from the Rude Health magazine, social media and website community, whose votes gave us us a Winner and a Highly Commended product in each category. Find out who the winners were here. The winners of The Better Retailing Magazine Awards will be announced on March 15th at the Health Food Institute Awards Luncheon. The Better Retailing Magazine Awards, designed to seek out and recognise excellence in independent health store retailing, are run in conjunction with the Health Food Institute. 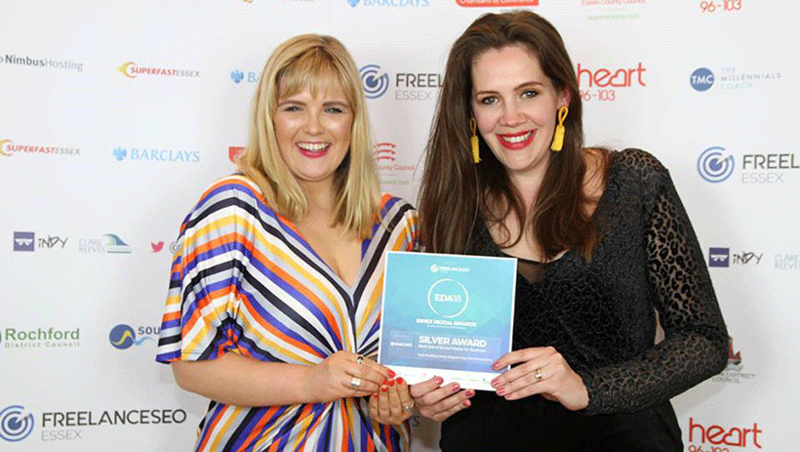 Each year natural health stores throughout the UK and Ireland are visited by Better Retailing Magazine's Secret Shoppers, and an overall winner and highly commended stores selected. We're delighted that so many of our readers - from across the Your Healthy Living magazine, social media and website community - took the time to vote for their favourite health products in the Your Healthy Living Awards 2017. Each reader entry was put into a draw to win a fantastic spa break for two at K West Hotel & Spa in London. The nine awards categories covered the whole spectrum of natural and organic products, from Best Free From to Best Beauty. Find out who the winners were here. We are now taking this year's nominations for the highly successful Your Healthy Living Product Awards. Nominate your best seller, a new product or a product that you are focusing on and enter in one of the categories. The waiting is finally over and we are now taking nominations for the highly successful Your Healthy Living Product Awards. At Better Retailing magazine we run our Secret Shopper awards annually, and are proud to have the award sponsored by the Health Food Institute. The idea is to seek out and reward true excellence in retailing, something that both our magazine and the Health Food Institute are keen to celebrate. The Health Food Manufacturers Association has called the European General Court's decision on permitted health claims "disappointing news for industry and consumers". With working class households making up nearly one third of sales, organic is no longer a middle class preserve – and some say it is even fuelling Britain’s foodie culture.